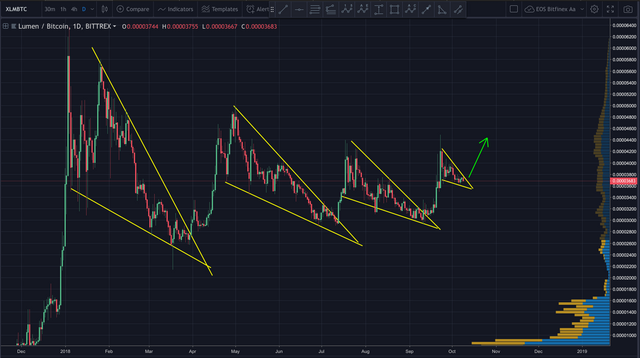 If we look at the pattern for 2018, we can see price has continuously retraced within a falling wedge...each one smaller than the next. It seems to be reaching the apex of another smaller falling wedge. 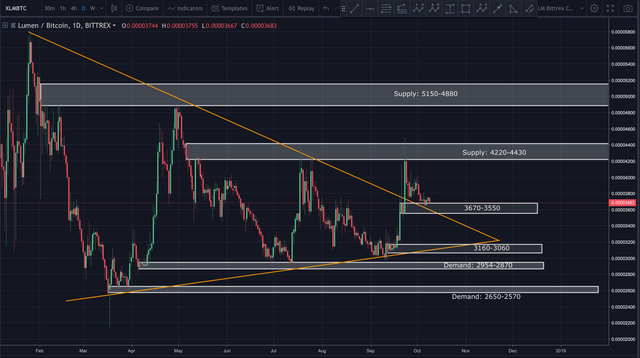 If history is any guide, we may see a breakout soon. 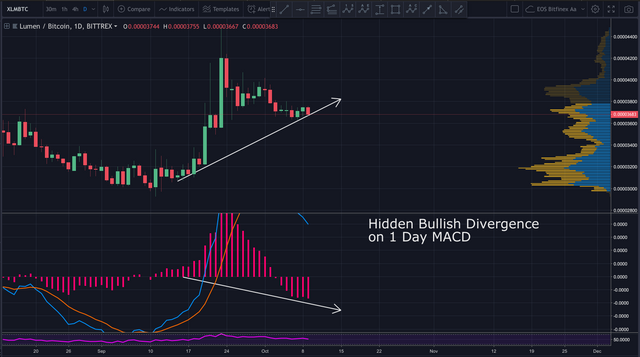 Of course, like all altcoins, Stellar is heavily influenced by Bitcoin. If Bitcoin falls, Stellar will fall right along with it. If you’re viewing this on a site other than Steemit, and you don’t see the above video, navigate to Steemit or TIMM (https://mentormarket.io/profile/@workin2005) in order to watch.